See how students are turning "Random Acts of Kindness" into a movement. 4 Youth Voice is a one stop resource for teens, parents and businesses dedicated to adolescent health services. Our mission is to provide every one with the tools and information they need to properly educate and motivate our next generation of leaders. Programs, advice, and resources to help answer your questions. Don’t know how to talk to your teen about health issues? Existing adolescent programs and opportunities for volunteer and employment opportunities. 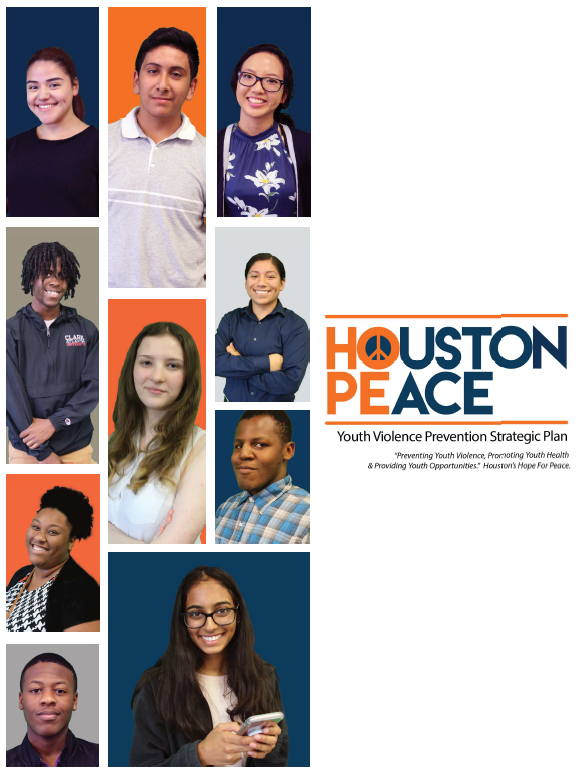 Houston Peace is a comprehensive strategic plan that reviews the current state of youth violence in Houston and identifies where youth violence is most impactful. The plan also explores various ways to prevent violence at the individual, community, and societal levels, and narrows its approaches to focus on the following three goals to ensure our youth are safe, healthy, and have hope for the future. Want to receive updates on the status of Houston youth, share information with youth-serving agencies, or get involved with our programs? Contact us today!